An infection stole nearly a month from Antonio Senzatela. In his debut start of 2019, he made up for the time a pesky blister stole from him. For his efforts, a one-run, 6.2 innings outing, Senzatela has earned the right to shoulder the load that has been fumbled by the back end of the Colorado Rockies rotation. The performance could’ve been made even better had Senzatela not left a fastball towards the middle of the zone to Franmil Reyes, his lone miscue. Following the blemish, Senzatela got out of the inning without any more damage, setting the Padres down in order the next inning as well. Thus far, across eight starts for Chad Bettis, Jon Gray and Tyler Anderson, the results have been murky. The trio has spun 41.2 innings and allowed 33 earned runs, good for a 7.13 earned run average, as well as 17 walks to 34 strikeouts, 20 of which belong to Gray. Past the duo of Kyle Freeland and German Marquez, the Rockies have held their breaths through several starts. The appearance from Senzatela is not merely an oddity. Last season, he flashed much of the same prowess, including a pair of outings against National League West rivals. Between an early July start against the San Francisco Giants and a late September showing opposing the Arizona Diamondbacks, he accounted for a pair of seven-inning outings, allowing a single earned run. That’s not to say the young right-hander has been flawless. In his two-plus year career, Senzatela has accrued 14 games in which he’s allowed four-or-more earned runs, a career that only spans 60 career appearances, including Monday night’s win. 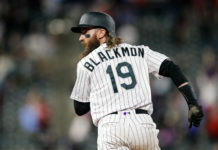 He offers a similar roller coaster ride to his Rockies’ counterparts. The latest outing continues a trend from last year though. In his final three starts to end the 2018 campaign, Senzatela registered 16.2 innings, allowing only three earned runs and striking out 13. Rust was an apparent factor, his success notwithstanding, as several fastballs breached the middle of the zone. With the added control lent by subsequent outings, Senzatela could yield greater results. For comparison, the Rockies newfound ace, Marquez, had a very similar path. In 2017, Marquez flashed the same inning-eating ways, albeit with a higher strikeout potential. The two even share a Venezuelan background, possessing a similar pitch repertoire of a fast-paced heater and slider combination. Coincidentally, the two are even within a month of each other in age. That’s not to say Senzatela will soon be a National League Cy Young candidate the way Marquez is showcasing, but the potential isn’t unfathomable. 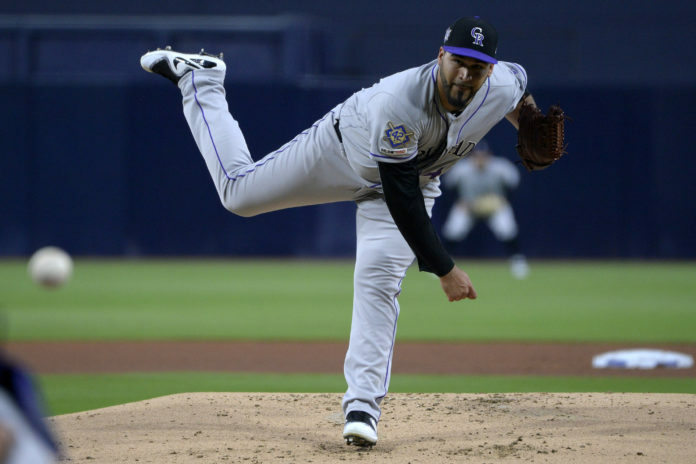 As for his spot in the rotation, Black has already made it clear that Bettis will move to the bullpen in a long relief role, Senzatela and the returning Anderson filling the voids. Gray bouncing back and finally completing the seven innings he’s sought after since his calf cramped up in Miami would only enhance the Rockies’ outlook. 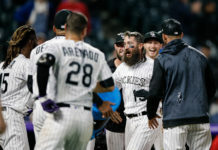 On a team that’s been grasping for bright spots in a gloomy opening slate, the Rockies have seen the clouds recede in recent days.